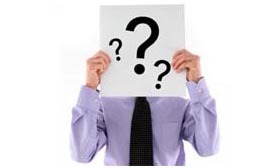 DIY, Salesman or Financial Planner what is your choice? Home » Financial Planning » DIY, Salesman or Financial Planner what is your choice? When it comes to investment what do you do? Do you follow DIY? Do you take help from a salesman or you prefer qualified financial planner? I am sure your answer will be either DIY or Salesman. Let’s try to ponder about investment style followed by you – DIY, Salesman and financial planner. DIY is most famous word nowadays. Almost every website is in favor of DIY (do-it-yourself) when it comes to investment. However, I am not in favor of DIY. There is nothing wrong in DIY if you have knowledge, skill, time and ability to manage your investment you should follow DIY. Recently I had a conversation with one of the reader. He was DIY investor and making losses. He shared that DIY is adopted by him in order to save more money. I asked him a simple question. What else you do to save more money? Do you build your own house? Do you grow your own food in your own farm? Instead of going to the doctor do you go to the chemist for the treatment? He was unable to answer my questions. Well, when you become DIY investor emotions comes in between your financial goal. You will be afraid to take a certain decision and get carried away by greed, fear, and anxiety. DIY investors are likely to make following common mistakes. DIY investors get excited by new financial products and they make an investment without understanding product. They invest in the product because of a recommendation of friends and family members. They react to any negative news and sell their investment. They watch price first before making an investment. They don’t do enough study or research before selecting any product. DIY investor does not consider investment seriously. They believe in robo advisor or free advice. You can be DIY investor if you have following qualities. The second types of investors are highly influenced by the sellers. They prefer to ask a seller when they want to make an investment. This type of investor believes that insurance agent, mutual fund distributors, and relationship manager from a bank are best people when it comes to taking financial advice. I ask a simple question to this type of investors. What do you do when you have a heart problem? Do you visit chemist and take medicines suggested by him? Do you contact hospital agent for the medicines? Do you visit compounder and take medicine prescribed by him? No, you simply take appointment from a cardiologist and take medicine suggested given by him. Insurance agent or mutual fund distributors are sellers. They do not charge any money, as they get a commission from product purchased by you. They will try to fit your requirement with the product available with them. They are interested only in their commission and nothing else. You should strictly avoid seller while making an investment decision. I have enough example of misselling done by these types of sellers. How Rs 50,000 was reduced to Rs.248? The classic case of misselling was reported by Livemint, where Mr.Kapoor was influenced by an insurance agent to purchase SBI Life Unit Plus-II single-premium ULIP. An agent convinced Mr.Kapoor by saying that ULIP will give an advantage of free insurance. Mr.Kapoor purchased a policy without understanding the effect of mortality charges and end up reducing his corpus to Rs.248 in 5 years. How 5 Lac was reduced to 4.11 Lac in 1 year? Livemint reported one classic case of misselling of a financial product by a relationship manager. One senior citizen visited the bank in order to open senior citizen saving scheme account in December 2014. He wanted to invest 5 Lakh in SCSS as his only source of income was fixed deposit. A team of relationship manager brainwashed him to invest the money in ULIP. He was promised to get 14% assured return from ULIP. He purchased ULIP and ended up making big losses. How 3.2 Lac was reduced to Rs.11678 in 6 years? Another case reported by Money life. In this case, HDFC Life Young Star policy was sold to senior citizen. After paying a sum of Rs.3.2 Lac for 6.25 years @ Rs.12500 per quarter, the policy was closed by paying Rs.11678. This means 96% wealth of investor was eroded in 6.25 years. In all above examples, one thing is common conflicting area of interest. The third type of investors always takes advice from a certified financial planner. As they know certified financial planner is best when it comes to finance and investment. They can extend you expert advice related to any products. Financial planner will do risk profiling and study your financial situation. They will draw up a financial plan with list of financial goal and method of achievement. Financial planner recommends investment product with your interest in mind. Explain risk and features of the recommended product in detail. Balance your portfolio across various asset classes. They make sure that you are saving enough money to fulfill your financial goal. Update you with the latest change affecting your existing investment. They make sure you don’t end up making any mistakes. Suggest a strategy to come out from debt. Financial Planner can save your time and energy. How to Become Rich by Pay Yourself First? 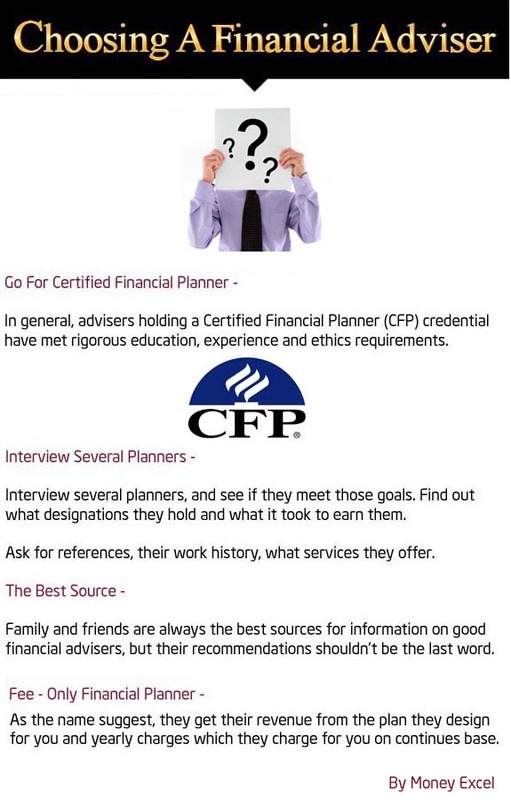 A following infographic will help you in selecting your financial advisor. Which investment style you follow DIY, Salesman or Financial Planner? Do you think you should consult financial planner? ULIP vs Mutual Fund which one is better? « How to claim benefit for multiple health insurance?